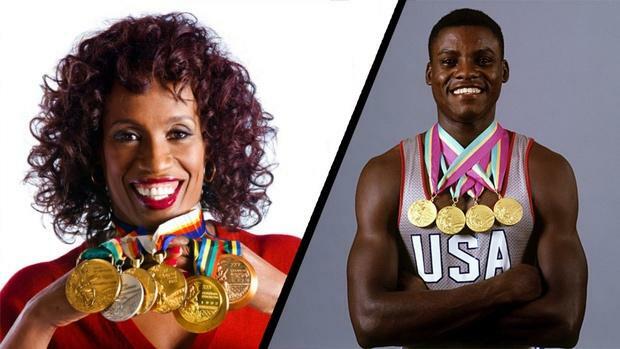 The AAU Junior Olympic Games have been the pinnacle of thousands of young athletes' seasons since the competition's inception in 1949, and some of those athletes have gone on to accomplish incredible feats in track and field. Here are a few of the most notable AAU Junior Olympic Games alumni and their post-AAU accomplishments. In this list, we're focusing on the greatest athletes in history -- for some of the more recent stars, see our rundown of the 32 members of Team USA in 2017 who are AAU alumni. Don't Miss: Watch the 2018 AAU Junior Olympic Games LIVE on FloTrack starting July 28! 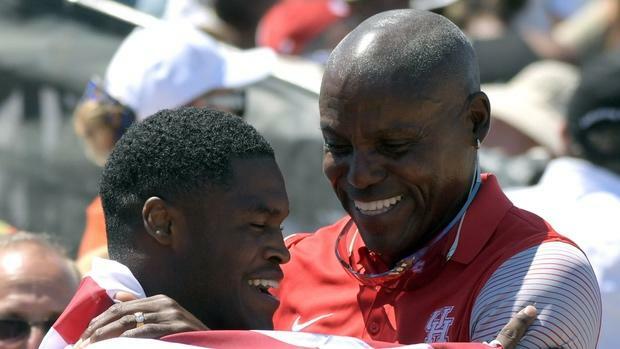 Holding a mind-boggling 17 global championship titles, Carl Lewis is one of track's greatest legends. His pro career accomplishments include 65 consecutive victories in the long jump over 10 years, as well as the still-standing world indoor record in the long jump and top marks in the 100m and 200m. Lewis has always been a huge supporter of AAU Track and Field, and he recently entered a partnership with the AAU to promote the athletes. In addition, he was an AAU Junior Olympic Games competitor himself during his high school years at Willingboro High School in Willingboro Township, New Jersey. Above, he is seen coaching Elijah Hall to a third-place finish at the 2017 U.S. Championships. 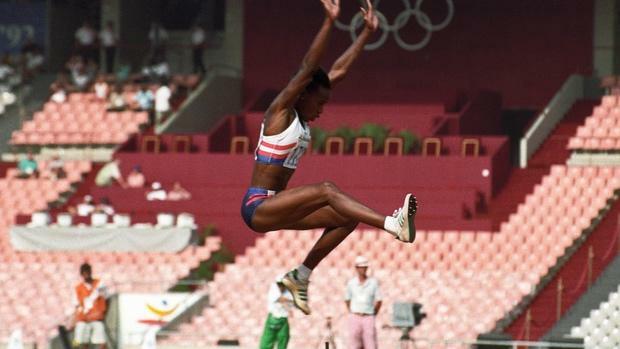 JJK is among the greatest to ever walk the track, having won three Olympic and four World Championships gold medals in the long jump and heptathlon during her career from 1988 to 1996. But as a high school athlete for East St. Louis Lincoln Senior High School in her hometown of East St. Louis, Illinois, she also was a participant in the AAU Junior Olympic Games. In recent years, Joyner-Kersee has taken her talents to the sphere of politics, as she ran a campaign for president of USATF this past year at the USATF annual convention. McMillan is still the current NFHS record holder in the long jump with her 6.78m leap in 1976, and she took those jumping talents to the AAU Junior Olympics as a competitor, attending from her hometown in Raeford, North Carolina. Her post-AAU career was filled with success, including a silver medal in the long jump at the 1976 (senior) Olympic Games and a gold at the "Boycott Games" in 1980, which were held in Philadelphia to protest the Olympic host nation. Foster's career in the short hurdles saw him take championship titles from the NCAA, the U.S. Indoor and Outdoor Champs, and the Summer University Games, but one other event Foster was a champion in was the AAU Junior Olympic Games in track and field, during his high school years at Gaffney High School in Gaffney, South Carolina. His AAU accomplishments include a national junior title in the 120-yard high hurdles. Though Foster never capitalized on his talent with a global senior championship medal, he did achieve a No. 1 world ranking in 1974 in the short hurdles. 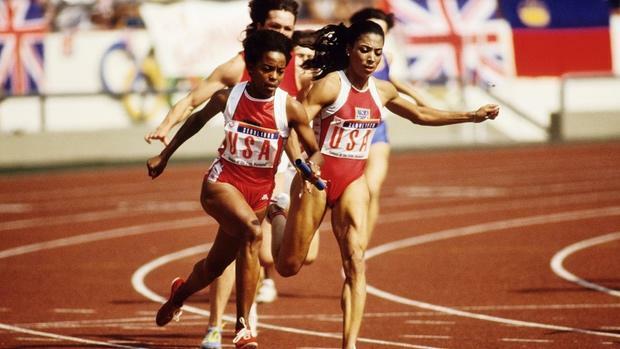 Not many people can call themselves an Olympic gold medalist in the 100m, but Evelyn Ashford became one of them following her victory in the 1984 Olympics. She was the first woman ever to run under 11 seconds at the Olypmic Games, but before her first sub-11 clocking, she was sprinting to national titles at the AAU Junior Olympic Games, making the trek from her hometown of Shreveport, Louisiana.